Navarre Beach is nothing short of a dream for family vacation. Quiet, peaceful, and untouched white-sand beaches make for the perfect low-key getaway. For some travelers, Navarre Beach’s laid-back lifestyle is the perfect way to go, but if looking for even more tours, attractions, and things to do, why not explore all that the Emerald Coast has to offer? From the city streets of Pensacola, to the legendary fishing fleets of Destin, learn more about the Popular Towns Close to Navarre Beach! Connected by Highway 399 along the Scenic Gulf Islands National Seashore, Pensacola Beach, FL is as prolific a beach destination as any! For decades, millions of travelers have enjoyed Pensacola Beach’s fresh-caught seafood dining, premium beachfront lodging, and myriad of tours, attractions, and entertainment. With history dating back to 1559, Pensacola is considered the oldest settlement in the United States! Known as the “city of five flags”, Pensacola has recently grown from its multi-cultural roots into a melting pot of culture. A bustling downtown and busy coastline presents tons of fun opportunities for nearby travelers. Only a short drive away, Pensacola is by far one of the most well-known towns close to Navarre Beach. Explore historic and trendy Pensacola in style with a fun and affordable Pensacola City Tour! A part of Fort Walton Beach, FL, a coastal military community, Okaloosa Island stands alone as a tried-and-true beach destination. A genuine island, Okaloosa Island lies between Fort Walton Beach and Destin, FL. While the west side of the island is mostly protected lands and sand dunes, the east half has a strong tourism presence with restaurants, attractions, nightlife, and beachfront lodging. With a colorful history of casinos, amusement parks, and multiple deadly hurricanes, Okaloosa Island is still on the mend and growing every year with new things to do and see! The “World’s Luckiest Fishing Village” is just a few towns over from Navarre Beach, FL! One of the most well-known destinations on the Gulf Coast, Destin has made a name for itself through its dining scene, family atmosphere, and stunning selection of activities, attractions, and things to do. 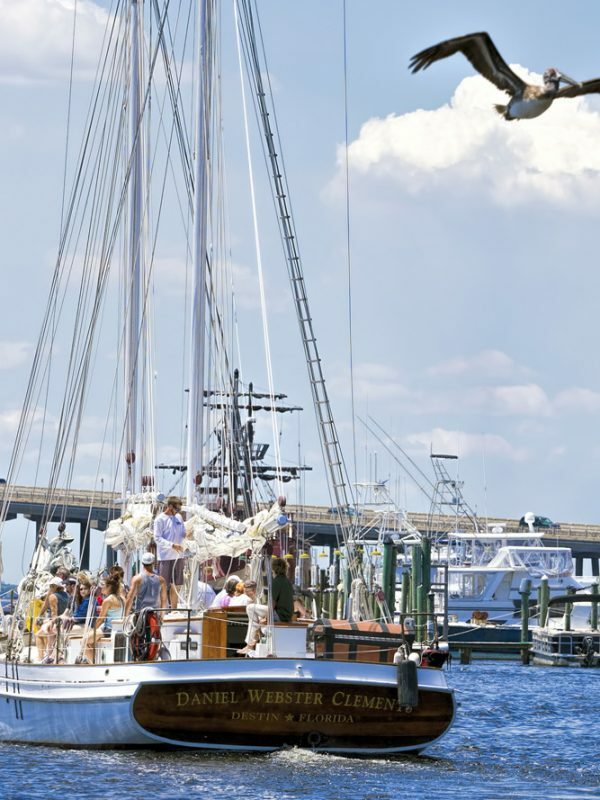 Most notable is Destin’s massive commercial fishing fleet. 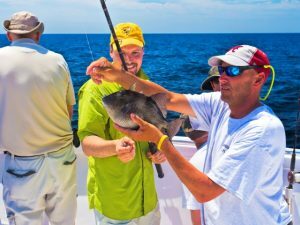 From sharks to marlin, grouper to tuna, there is a fishing captain in Destin that can help you catch whatever type of fish you desire. Like the rest of the Emerald Coast, the white-sand beaches and emerald waters are a sight to behold, but popular hangouts like Crab Island, Destin Harborwalk Village, and Crystal Beach give Destin a slight edge over its nearby neighbors. Although the furthest away from Navarre Beach, Destin is a must-visit on your next trip to the northwest Florida coast! 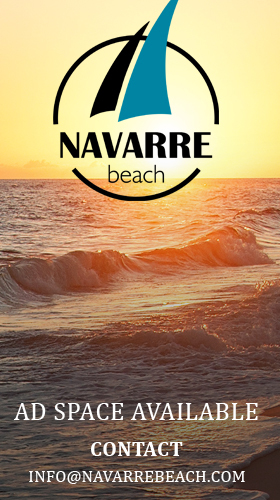 Now that you’ve learned about the Popular Towns Close to Navarre Beach, it’s time to plan a trip! 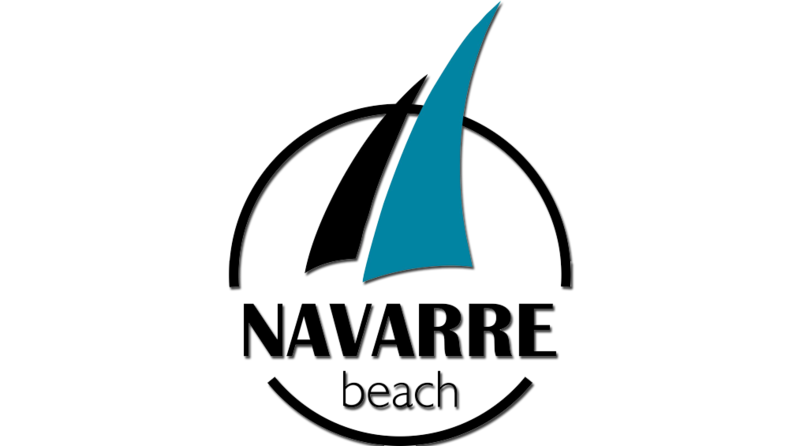 Learn all there is to know about Navarre Beach including where to stay, what to do, and how to get around online at NavarreBeach.com! I am planning another trip to the area didnt realized how beautiful and how close things are! I enjoy exploring the area and its landmarks!